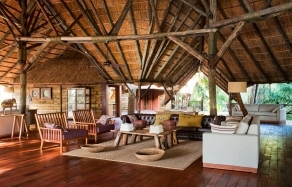 Upon a quick glance, Singita Grumeti Faru Faru would simply appear as a beautiful lodge in a remote African location. Yet to us its greatest appeal lies in little discoveries, in the gradual revealing of the design contrasts and its quirks — and in wonderful wildlife encounters. How many luxury camps and hotels would have welcomed their guests by the spectacle of a huge herd of elephants coming right up to the lodge? This is what we were pondering as we stood with a drink by the Singita Faru Faru’s infinity pool, having just been shown around the main lounge area. We gazed down at the savanna in front of the lodge, where dozens of elephants crowded a watering hole. “Many different animals come here all the time, but this herd is still a nice surprise”, our hosts said, clearly as delighted at this sight as were we. These first minutes here certainly left us with a strong impression of a place where we could always “expect the unexpected”. 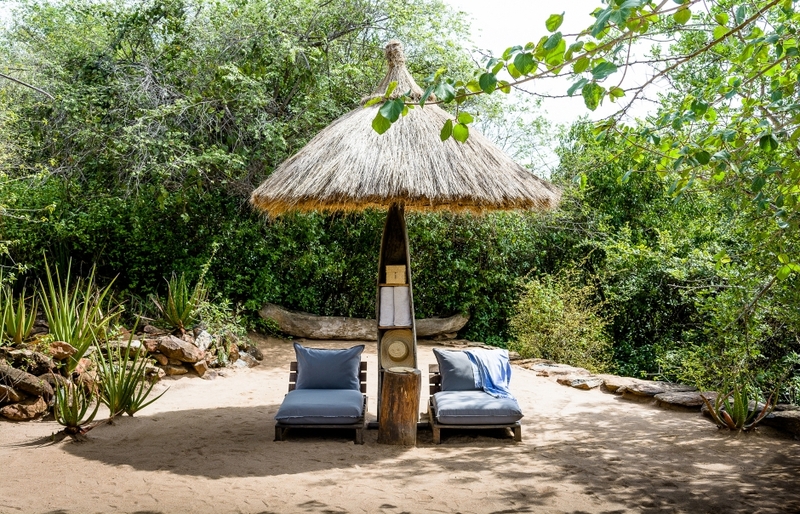 Faru Faru is one of the very few exclusive lodges and camps in the private Grumeti Reserve, managed by Singita. Just before coming here, we spent a few days at the nearby Singita Sabora, a tented camp pitched straight on the classic savanna grassland. But while Sabora has a strong vintage vibe, the Singita Grumeti Faru Faru wows with a style that’s decisively of 21st Century. The design of this lodge draws from several sources. 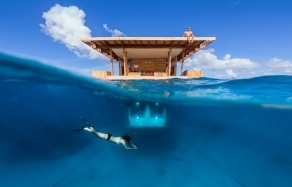 Firstly, there is the Swahili sand beach vibe from Zanzibar. Then, the Serengeti bush chic, in which earthy tones and the dirt walkways play as the backdrops to organic African artefacts. Finally, all this is spiced up with designer furniture, stylish lamps, warm cushions, and fun ideas inspired by the quirky practicality of a “botanist camp”. Faru Faru has the latest home decor trends in its DNA. This is especially evident in the guest suites. Walking into ours, we were struck by its airy feel. Obviously, a bright palette and open-plan helped to make the room feel spacious, but the light coming from outside is almost a feature of its own. One side of the suite, all-glass, is looking to the river. A portion of the window can be slid away at the touch of the button. This design mix is unusual, but it feels right at home in the peaceful woodlands of the Grumeti river. The lodge’s relaxed atmosphere invited us to lounge by the pool and lazily watch the watering hole, or listen to the different bird species chattering away… while we tucked into a delicious lunch. Service at the Faru Faru is as attentive and personalized as we learned to expect at the Sabora camp. Special dietary needs? No problem — the staff will make sure to prepare a special menu. Don’t feel like waking up early? No worries — you can do the safari drive later. Which brings us back to one of the main selling points of Singita and the Grumeti Reserve. Situated in the western migratory corridor of the Serengeti, and spanning an area almost the size of Kenya’s Masai Mara, Singita Grumeti enables a safari adventure as it should be. 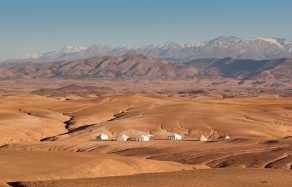 The exclusive-use concession enables some of Africa’s most enchanting experiences. Across the 350,000 acres of wilderness, only a few accommodation options are available. Given the limited number of guests and the abundance of animals, the wildlife encounters are intimate and special. In our time at the Singita Grumeti Faru Faru Lodge, we discovered that true wilderness can be experienced without compromising comfort and luxury. In many ways, Singita Grumeti Faru Faru defines what a high-end safari should look and feel like in the 21st-century. Contemporary, fresh, chic and full of stylistic seduction, this design-minded lodge is more than just another hotel option. With rich animal life surrounding the lodge and exclusive safaris in the vast private Grumeti Reserve, Singita Faru Faru becomes a whole new luxury experience in the heart of African wilderness. The time we spent here will linger in our memories for a long time and we award the Faru Faru with our rare Editor's Pick badge. The original design concept of the lodge, by Cécile and Boyd — the South-African design studio responsible for the interiors and art direction of all Singita properties. At the Faru Faru, the mix of barefoot-in-the-bush and botanist camp inspirations results in truly spectacular interiors. The beautiful, air-conditioned guest suites are covered with canvas and furnished as if from the coolest home decor catalogue. All bedrooms have an en-suite bathroom that includes a standalone bathtub as well as an outdoor shower, which takes the guests even closer to nature. 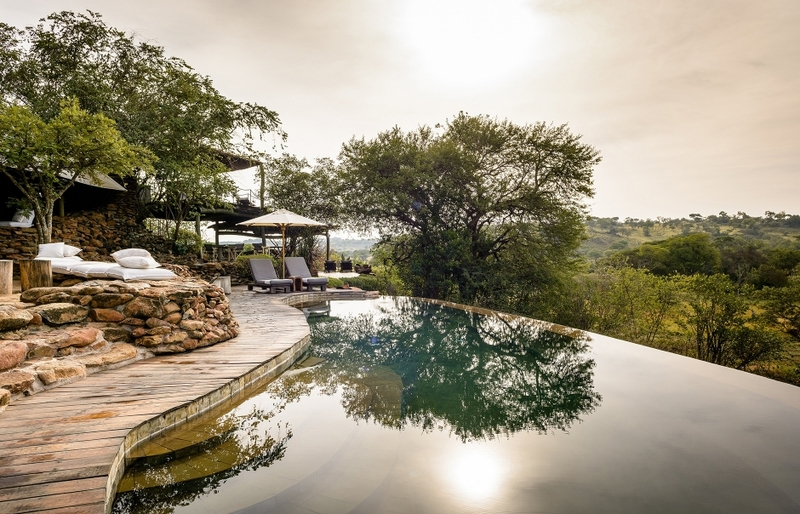 Thanks to the location, on a hill looking towards the Grumeti River and a couple of nearby watering holes, the lodge is well positioned to observe the wildlife. Elephants, zebras, giraffes, monkeys and other animals frequent the area and the guests have every opportunity to feel like they are always on safari. 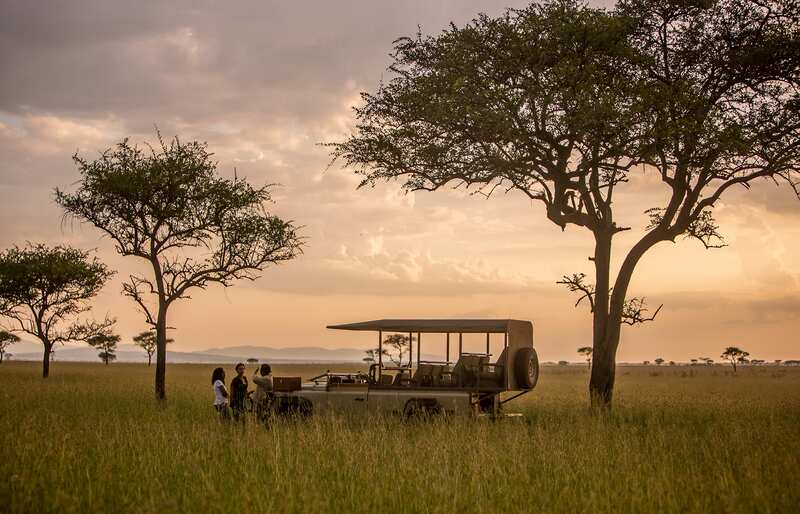 "Here, the safari comes to you," says Singita. It's quite true. The Grumeti Reserve is an exclusive-access concession. This ensures a remarkable safari experience, in which the drives are private and frequently off-road, the land vast and incredibly beautiful, and the wildlife abundant. The lodge's small size and its intimate and peaceful atmosphere. There are only eight open-plan Suites and one Villa Suite (which has two double bedrooms). The service level is as high as in any best luxury hotel. The staff has a kind of relaxed confidence about them — and as at other Singita properties, they will go to lengths to make the stay special. The light cuisine of Faru Faru. Based on East African ideas and served with excellent wines, the meals at the lodge have a feel of something created in the spur of the moment and in a flurry of inspiration. They were always a treat. Since its establishment in the 1990s, Singita has been conservation-minded. The Grumeti Reserve is only one of five nature reserves (in three countries) operated by the company. The wide-ranging projects, including anti-poaching efforts, are partially funded by the luxury lodges. Despite its small size, the lodge has spa and gym facility and two good swimming pools, one with the river view and the other overlooking the watering holes. The lodge may be located in a remote corner of Africa, but the WiFi is excellent! In addition to the safari drives, guests of the Faru Faru can undertake horse-back safaris, out of the impressive stables at Singita’s Equestrian Centre (located near the beautiful Singita Sasakwa Lodge). Rides can range from a few hours to multiple-day rides and can be tailored to suit different riding abilities. We recommend combining the stay at Faru Faru with another camp or lodge in the Grumeti Reserve. We also stayed at the Sabora Tented Camp (make sure to check out our review)— it's a very different experience just but as enchanting. All flights going to Grumeti land at the Singita Sasakwa airstrip. Most of the scheduled flights are operated by Coastal Aviation but Singita can, of course, organise a private charter. The best time to visit Faru Faru and the Grumeti area is during the migration months. The great herds move through this area and cross the Grumeti River in May and June, but we were here in November and had excellent game drives.